The love between a daughter and her mother--and the dark secrets they keep from each other--are at the heart of this wildly imaginative novel that combines elements of The Handmaid's Tale , Stranger Things, and Twin Peaks . It's 1985. Pony Darlene Fontaine has lived all her fifteen years in "the territory," a settlement founded decades ago by a charismatic cult leader. In this strange town run on a sinister economic resource, the women crimp their hair and wear shoulder pads, and the teenagers listen to Nazareth and Whitesnake on their Walkmans. Pony's family lives in the bungalow at the farthest edge of town, where the territory borders the rest of the wider world--a place none of the townspeople have ever been. Except for Billie Jean Fontaine, Pony's mother. When Billie Jean arrived in the territory seventeen years prior--falling from the open door of a stolen car--the residents took her in and made her one of their own. She was the first outsider they had ever laid eyes on. Pony adores and idolizes her mother, but like everyone else in the territory she is mystified by her. Billie Jean refuses to describe the world she came from. One night, Billie Jean grabs her truck keys, bolts barefoot into the cold October darkness--and vanishes. Beautiful, beloved, and secretive, Billie Jean was the first person to be welcomed into the territory. Now, with a frantic search under way for her missing mother, Pony fears: Will she be the first person to leave it too? Told from the three unforgettable perspectives of a daughter, a killer dog, and a teenage boy named Supernatural, this novel is startling in its humor and wrenching in its wisdom about the powers, limits, and dangers of love. 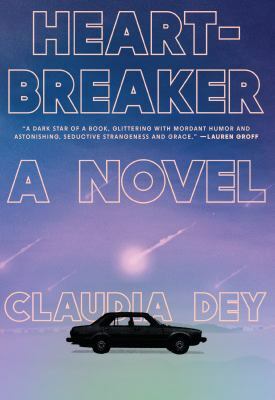 Heartbreaker is an electrifying page-turner about a woman reinventing herself in order to survive--and a daughter who must race against the clock to untangle the mysteries left in her mother's wake.
" Heartbreaker gave me chills all the way through. . . . I floated in the perfection of its ending. I loved this novel's shining sensitivity. I loved its every page." --Sheila Heti, author of Motherhood and How Should a Person Be?